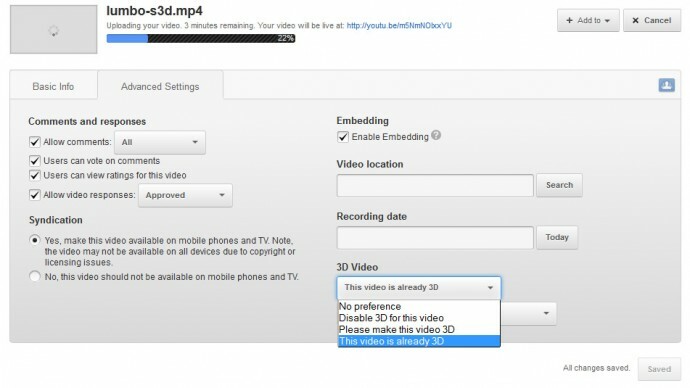 We know that Google has been trying to improve and most of all make more user friendly the upload of 3D videos to YouTube for a while already and while they manage to do quite well in that, they seem to miss some really basic stuff that can result in the 3D video not being displayed properly. It is quite nice and easy to just select from a drop-down box that “This video is already 3D”when uploading a 3D video to YouTube from the Advanced Settings tab under 3D Video (just avoid using the “Please make this video 3D” option as this will use 2D to 3D conversion in order to convert a normal 2D video into a stereoscopic 3D one simulating the feeling of depth). 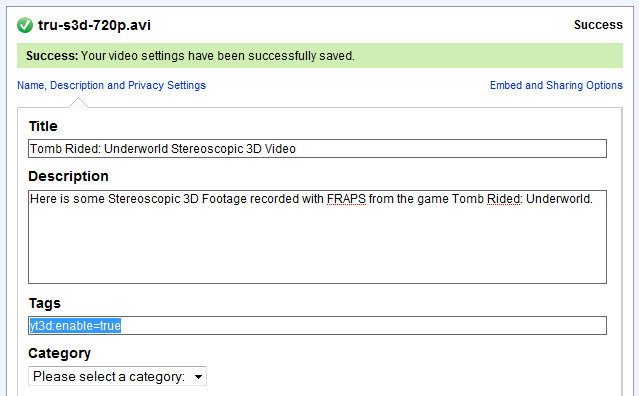 And here I though that adding extra tags for 3D video uploads is something that we’ve left in the past, but no, you may still need to add the good old yt3d tag to make things work properly and the good news is that it actually still works. 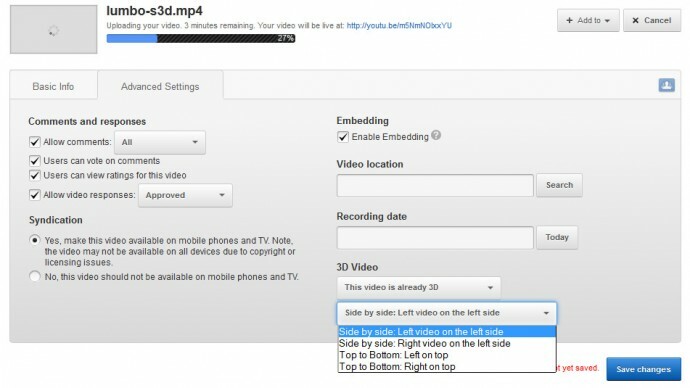 In the above real world example I’ve had to add “yt3d:aspect=16:9” (no need to use the quotes) in order to get the 3D video displayed with the correct aspect ratio in the player, again this aspect ratio fix is intended for when uploading 3D video clips in Side by Side format with 3840×1080 resolution in YouTube. Lower resolution 3D videos and/or clips with horizontally or vertically squashed frames for the left and right eye may not need the extra tag to be displayed correctly, but if you are having trouble with them you may try adding the tag as well.